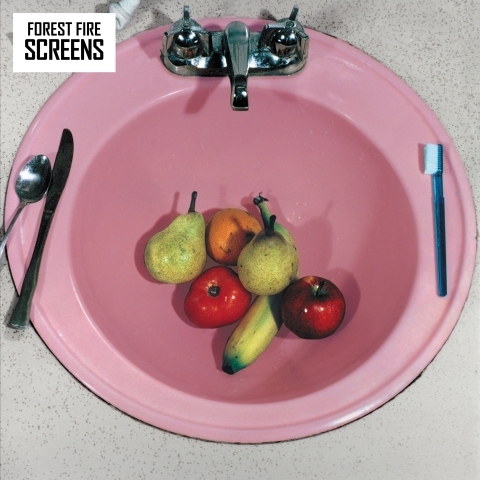 The new Forest Fire record Screens is coming out September 10th on Fat Cat and is available now to pre-order. I recorded, mixed and co-produced the record with the band last fall, at Tree Time (Fat Cat’s studio upstate), Doctor Wu’s, and my home studio. It was honestly one of my favorite record-making experiences of my career, and is some of the best sounding work I’ve ever done… no joke. The first song “Waiting in the Night” and a brief interview is on MTV Hive for you to enjoy. “She (Was My Baby)”, the second single from the Keepsies, is out now. The Keepsies are Vince McClelland, Austin Brown (from Parquet Courts), and Jason Kelly (from Fergus & Geronimo). I recorded some overdubs and mixed these songs last year, so I’m super excited that they’ve hit the web for everyone to enjoy! Hopefully the third one will come out a bit faster…..
And the entire series of Catherine is now online! The series was created by Jenny Slate and Dean Fleicher-Camp for the JASH Network (Sarah Silverman, Tim and Eric, Michael Cera, and Reggie Watts’ Youtube channel). If you haven’t yet ventured down this mind-numbing wormhole of a show, here’s your perfect chance! I just got back from Chicago, where I mixed the Blue stage at Pitchfork Music Festival. It’s always nice going back and working with my friends and associates from when I lived out there, and it was extra special to have so many friends playing on my stage… Frankie Rose and her band, Parquet Courts, Chairlift… all slayed. I rode back in the van with Parquet Courts, which was great to catch up with the gang, and got us all excited to get back into the studio in September to finish the album! If you wanna talk sound, please write at jonathan.schenke[at]gmail.com. Thanks for checking out my site!